Welcome to That Creative Life, hosted by YouTuber & creative entrepreneur Sara Dietschy. On this podcast you will find candid conversations with the best artists and business professionals in the world. Artists, YouTubers, CEOs and everyone in-between. 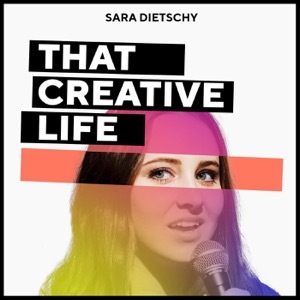 More information and content from the podcast can be found on Sara Dietschy's YouTube channel, Twitter & Instagram (@SaraDietschy) and also @ThatCreativeLife on Instagram.